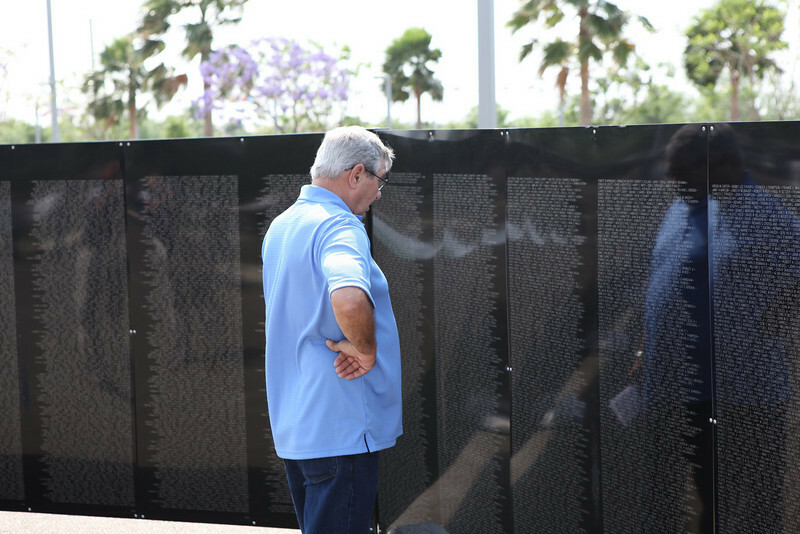 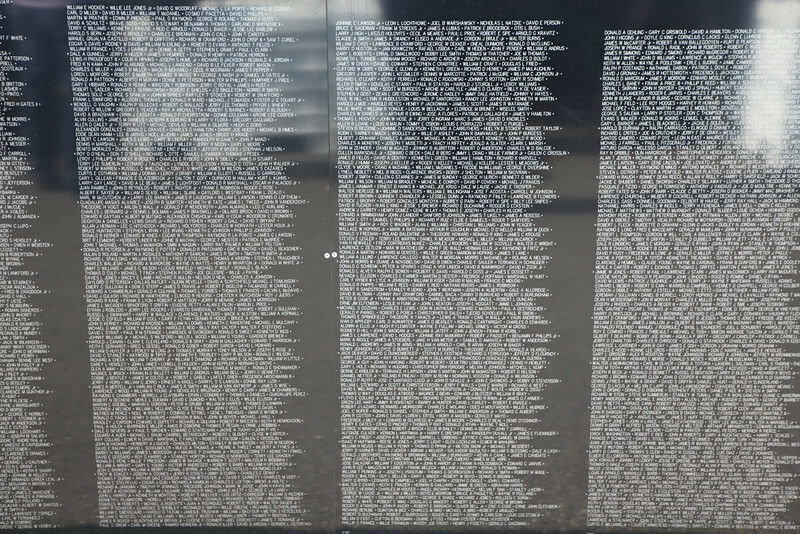 Man visits the Healing Wall on display at the McAllen Convention Center, for LZRGV, an event to honor Vietnam Veterans. 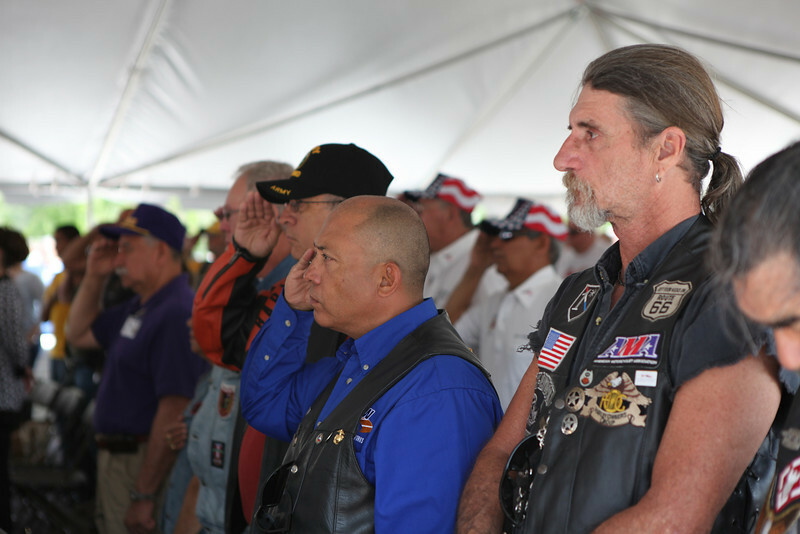 The free event will feature ceremonies, plays, workshops and entertainment all day Saturday, April 9, 2011. 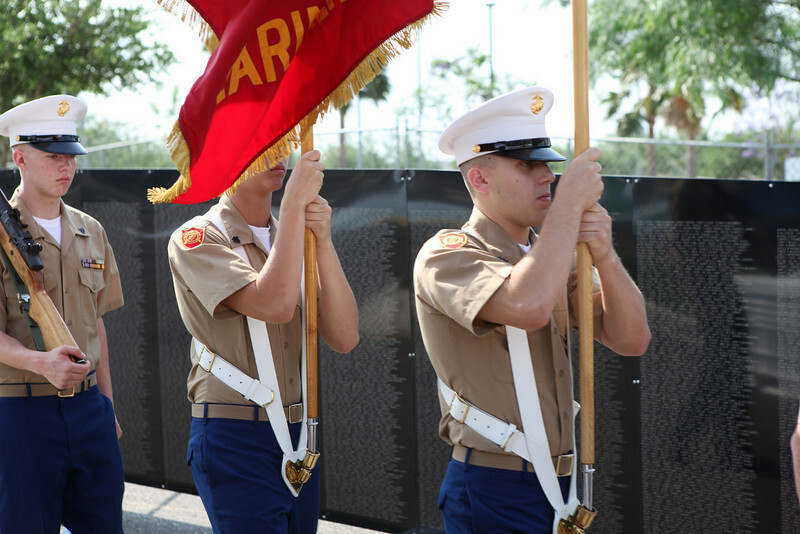 Marine Military Academy cadets present colors at a LZRGV news conference. 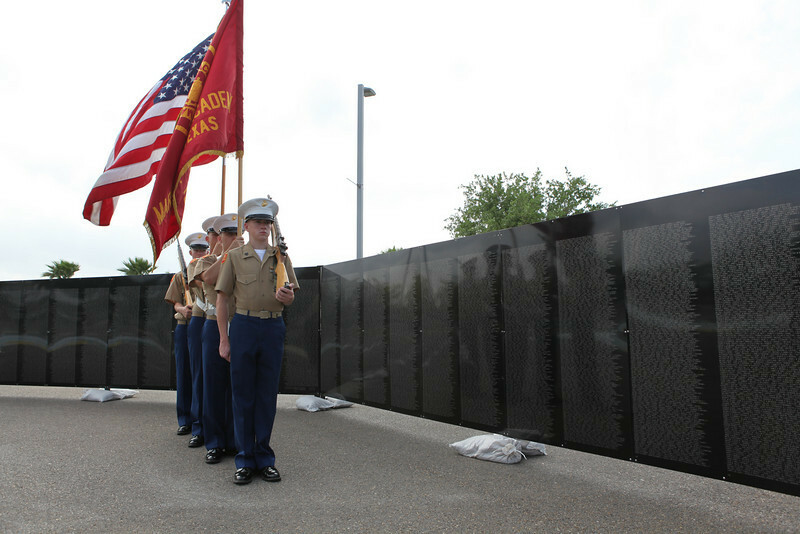 Marine Military Academy cadets present colors at LZRGV Healing Wall news conference. 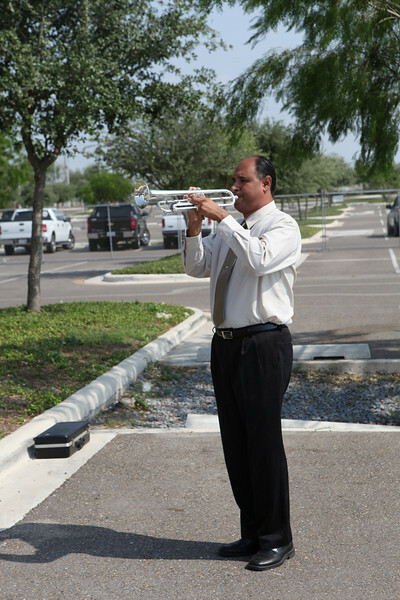 Bugler plays taps at LZRGV Healing Wall news conference. 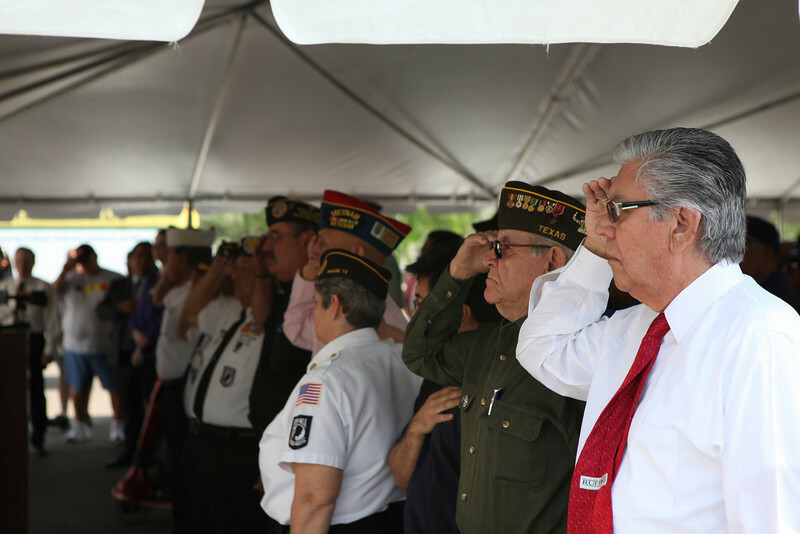 Veterans salute the flag at a news conference in McAllen for LZRGV, an event that features activities to honor Vietnam Veterans Saturday, at the McAllen Convention Center. 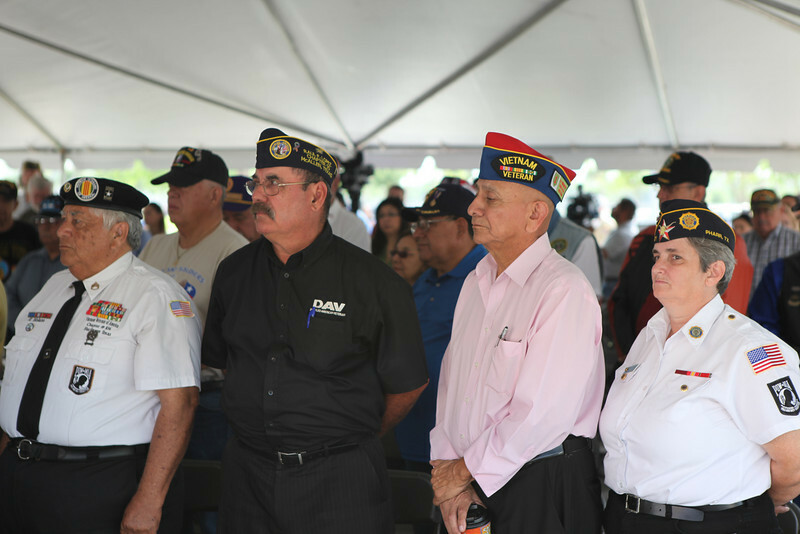 Veterans attend a news conference for LZRGV, an event planned for Saturday, to honor Vietnam veterans.